Three Porsche GT3 Cup Challenge USA by Yokohama races. Three wins for Canadian driver Zach Robichon in the No. 19 Moorespeed Porsche 911 GT3 Cup machine. Since joining the Moorespeed team prior to the Road America event two weeks ago, Robichon has started all three GT3 Cup Challenge USA races from the pole position, and he’s led every lap en route to victory. On Saturday, he got a good jump when the green flag dropped on the 45-minute race and was never challenged for the victory. With his third win, he’s already tied No. 3 JDX Racing Porsche driver Trenton Estep for most Platinum Cup race victories this season. The lead Platinum Cup class includes Porsche 911 GT3 Cup race cars built in 2017 and 2018. “It was interesting track conditions today,” said Robichon, who by virtue of setting the fastest lap in Race #1, will start Sunday’s Race #2 from the pole position also. “I don’t know if it was (because) we were after the Prototype Challenge. I think it was the first time we were after them this weekend. The first few laps, the car was feeling a little bit weird so I kind of let the tires come up. I didn’t push quite as hard as the others at the beginning, and I think about halfway through, that really paid off. Max Root matched his best result of the season with a second-place run in the No. 7 Wright Motorsports Porsche. The 2018 IMSA Hurley Haywood Scholarship Winner also finished second in Race #2 at Watkins Glen International in June. It was his fourth podium result of the season. Estep finished third for his 10th podium result in 11 GT3 Cup Challenge USA starts this season. As a result, he extended his lead to 22 points, 342-324, in the Platinum Cup standings over Roman De Angelis, who finished sixth in the No. 1 Kelly-Moss Road and Race machine after serving a drive-through penalty early in the race for his responsibility in an incident with Anthony Imperato in the No. 91 Wright Motorsports Porsche. German driver David Kolkmann finished fourth in the No. 71 Park Place Motorsports entry, while Imperato recovered from the incident to finish fifth. In Platinum Cup Masters for drivers over the age of 45, Michael Levitas picked up his fifth victory of the season in the No. 36 TPC Racing Porsche. Levitas was the beneficiary in a late-race incident between Charlie Luck in the No. 45 Wright Motorsports Porsche and Alan Metni in the No. 99 AM Motorsports/Kelly-Moss Porsche who were battling for the Platinum Masters lead. “This one did not disappoint anybody,” Levitas said. “It was wild. I think you could throw a blanket over the top three of each category. I kind of waited it out. I was losing my left-rear tire. I was a little greedy on front grip for the early part of the race and couldn’t capitalize on it. I had the speed up the Esses and other places. After the race, Luck was penalized 21 seconds, the equivalent of a drive-through penalty and also lost three positions on the starting grid for Sunday’s race at VIR for responsibility in the incident with Metni. Luck still leads the Platinum Masters point standings by 16 points, 333-317, over Metni. Fred Poordad finished second in Platinum Masters in the No. 20 Kelly-Moss Road and Race Porsche to match his best result of the season, which he achieved in the season-opening weekend at Sebring in March. David Baker came home third in Platinum Masters aboard the No. 56 Topp Racing Porsche. It was Baker’s third podium result of the season. Fred Kaimer earned the Yokohama Hard Charger Award, which went to the Platinum Cup driver who improved the most positions from start to finish in Race #1. Kaimer charged from 20th on the overall grid to finish 13th in the No. 23 NGT Motorsport Porsche. 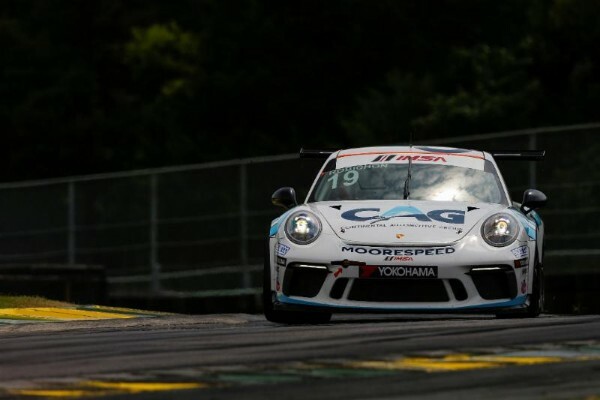 Another NGT Motorsport driver, Victor Gomez IV, picked up his eighth victory of the season in the Gold Cup class for Porsche 911 GT3 Cup cars built between 2014 and 2016. Driving the No. 25 NGT Porsche, Gomez had his hands full for much of the 45-minute race battling for the class lead with Kurt Fazekas in the No. 52 Kelly-Moss Road and Race Porsche before finally taking the spot with 25 minutes left in the race. “It was interesting,” Gomez said. “Finally, some action. I’ve been having some lonely races, but good pace. First of all, it’s great to be back in Virginia. I love the track, it’s my favorite in the calendar. NGT gave me a great car. We didn’t have such a great lap in qualy, but we put it on the pole. Gomez now leads Fazekas by 30 points, 362-332, in the Gold Cup championship standings with 11 of 16 races now complete. Sebastian Carazo finished second in Gold Cup in the No. 27 NGT Motorsport Porsche, while Rob Ferriol completed the class top three in the No. 5 TPC Racing entry. The race ended under full-course caution due to a crash by Fazekas, who was treated and released from the track’s infield care center. Fazekas’ No. 52 entry also has been withdrawn from Sunday’s race. The second 45-minute GT3 Cup Challenge USA race of the weekend at VIR goes off at 9:15 a.m. 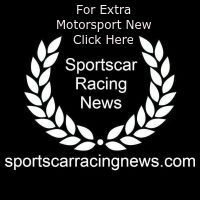 ET Sunday morning and will be streamed live on IMSA.tv.